And now, we’re just 7 days away. The brainchild and passion project of Elivia Shaw and Dan Fipphen, On Frozen Ponds, is finally here. 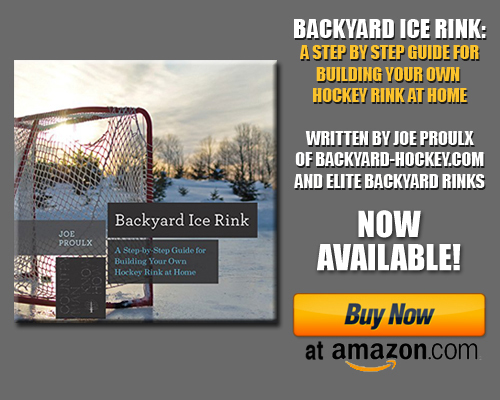 We first introduced you to Elivia, Dan, and OFP a year ago, when their kickstarter campaign beckoned for the outdoor hockey community to help out. And help out it did, raking in 136% of its $5000 goal (with some generous B-H.com readers among the list of donors). The funded Kickstarter meant that the crew could visit the northeast more than once and drink in all the stories our frozen slabs could tell, with a promise that they would take all the intertwining narratives and weave them into a story. That story will be shared with the world beginning Tuesday, January 21st. 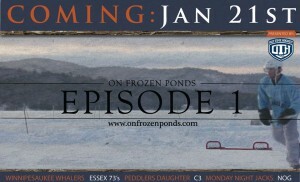 The end result of many months of unpaid work is a four-part web series hosted on the Pond Hockey Classic website. Viewers will see the leadup to last year’s New England Pond Hockey Classic in Meredith, NH. We’ll meet PHC creator and director Scott Crowder and see his extensive (and stressful) to-do list leading up to a tourney of this magnitude. We’ll also be introduced to several of the teams playing in the tournament, with care taken to bring the viewer not only on the ice for the games, but to the oft-hilarious antics lakeside as well. All the while, viewers will be treated to the masterful filmography of a talented crew, who braved frozen digits to capture all that’s great about the outdoor hockey community. To whet your appetite, OFP has released the following teaser. The phenomenal camera work, the music, the quotes…if this doesn’t get you geared up for the four-part series, then I’m afraid we just can’t be friends. So check out the intro, put a note on your calendar for next Tuesday, and like us, OFP, and the Pond Hockey Classic on FB so we can send you the link when the time comes. Out on these rinks, the unpredictable ice is “the great equalizer.” The Winnipesaukee Whalers and Peddler’s Daughter take on the Open Division’s toughest teams. Team C3 celebrates the great outdoors while the Essex 73’s relive their glory days. NOG uses their signature libation to get an edge up on their opponents, while the Monday Night Jacks are out to prove that this is their year. It’s Championship Sunday and only the strong have survived to determine who will walk away with their name carved on the Lake WinnipeHockey Cup. These guys are battling hangovers, the elements and each other to be a part of Pond Hockey history.